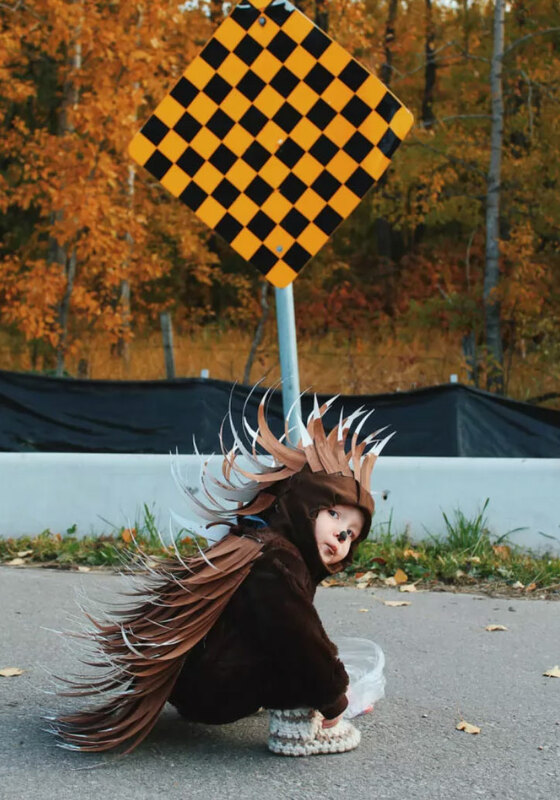 Danielle Bevens isn't exactly a rookie when it comes to making her kids' Halloween costumes. 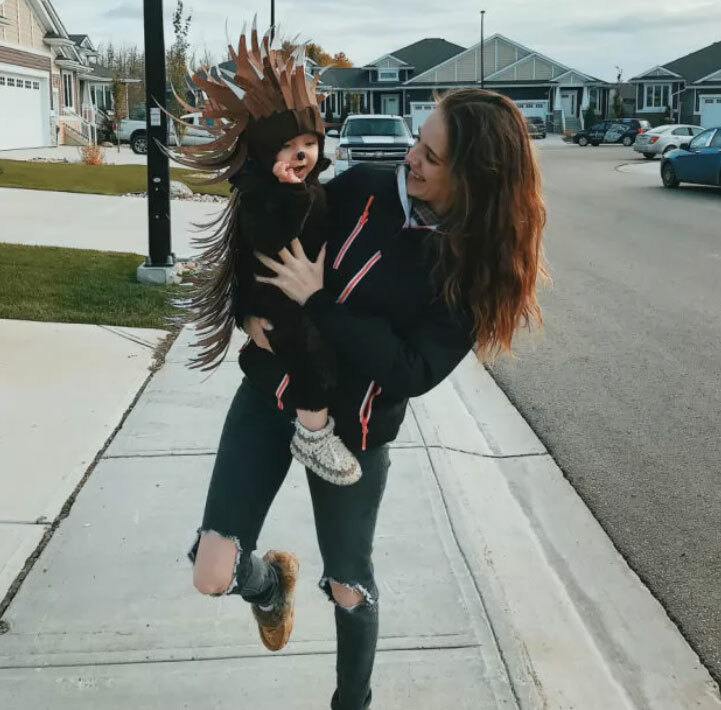 Every October, the Alberta, Canada mom embarks on a month of DIY costumes for her two boys, which she then shares on her Instagram account, @daniellerbevens. 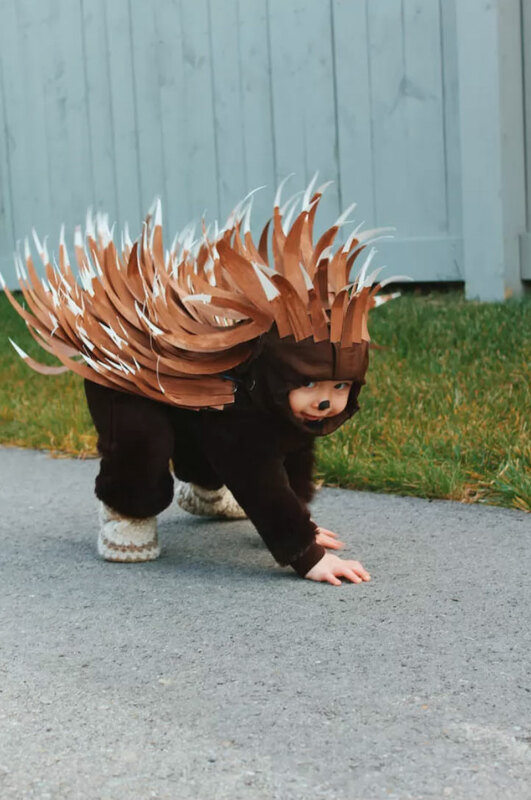 But it's one of her latest costumes that's catching some serious viral fame - and once you lay your eyes on it, you'll quickly see why. 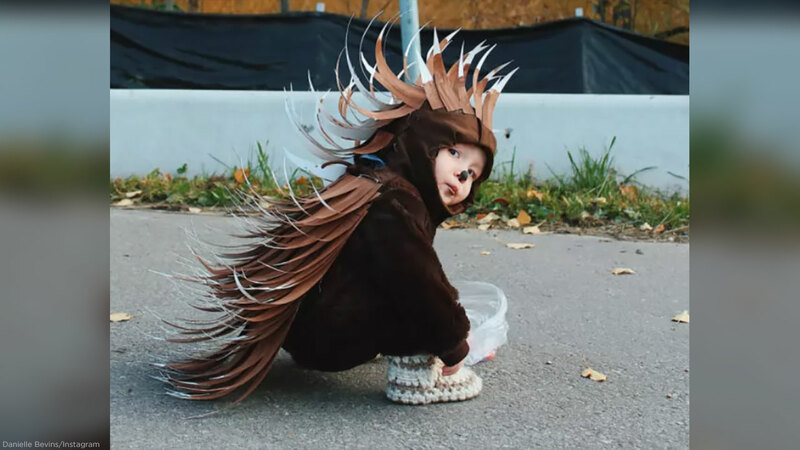 "I'm in love with crafting and DIY, so it's a fun way to let out some creativity," Bevens shares, adding that she'd seen a porcupine costume on Pinterest a few years ago that inspired her. "(I) thought 'I have to make that,'" she says. "(But) I truly didn't think it would turn out so realistic!" Believe it or not, she says the costume was actually pretty easy to make when all was said and done. First, she hit up a local thrift store for a brown onesie and matching pillowcase. 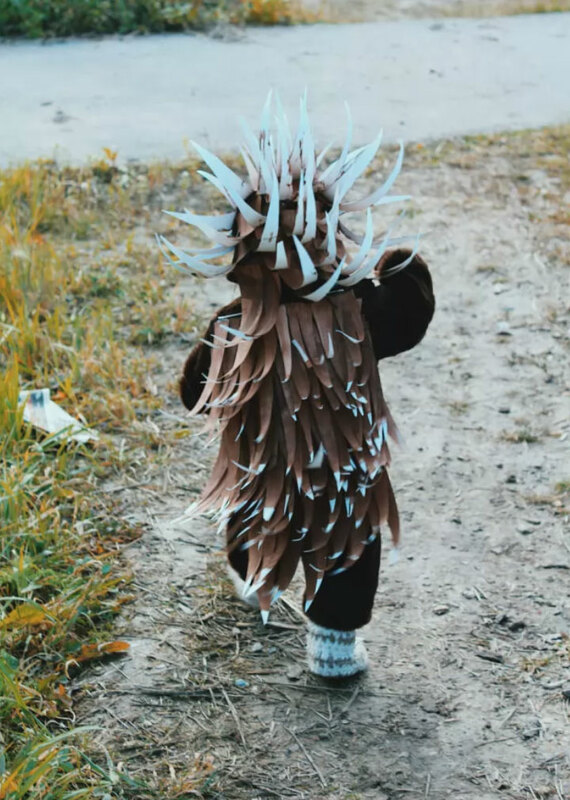 Then, she painted a white poster board brown and cut it up into small spikes. "I hot glued the spikes onto a pillowcase and then safety-pinned it to the back of the onesie," she continues. "This made it so he could sit and move around a little easier. Then I used the extra spikes and some leftover fabric from the pillowcase to create his little hat." Feeling inspired? Bevens says her main piece of advice for parents looking to go the DIY route is to "plan and start early." "Most importantly, use your imagination!" she says. "The look on your kid's face will be worth all the hot glue burns and tedious gluing."